Blocks are considered to be one of the most engaging and fun toys that develop your child’s creative, analytical and logical thinking. It also helps in the motor development skills in your child. 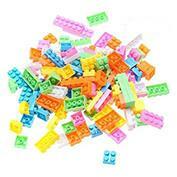 These blocks are made of safe plastic and non toxic colors. These blocks are safe for your child to play with since they don't have any sharp corners or edges. 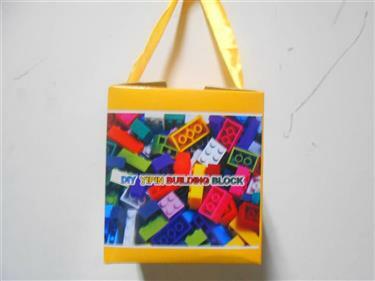 The blocks are contained in a neat carry bag so teach your child to wind up and put the blocks back in the bag as well. 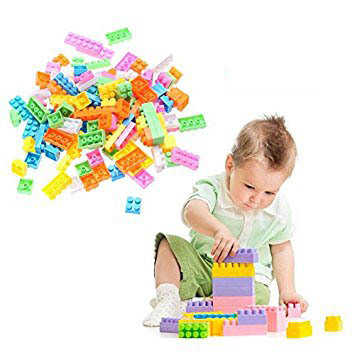 The assorted shapes and colors of the blocks are likely to leave your children amazed and surprised. Safe and engaging game for growing up kids. Bright colors that attract children. Non toxic plastic used for making the blocks. NOTE: Please Play Under Accompanied By Parents!